Winner of the GRAND PRIX 2016 at the Creative Belgium Awards. ‘A dog of Flanders’ is the story of the strong friendship between a Flemish boy Nello and his dog Patrasche. The story was written in 1872 by English author Marie Louise de la Ramée, also known as Ouida. The novel is known in the United Kingdom, USA and is extremely popular in South Korea and Japan, to the point where it is seen as a children’s classic. It inspired several film and anime adaptations, including the 1975 animated TV series which reached an audience of 30 million viewers on its first broadcast. • It is one of the most read stories about Antwerp, Flanders around the world. • more than 100 million copies sold worldwide. • translated into more than 25 languages around the world. 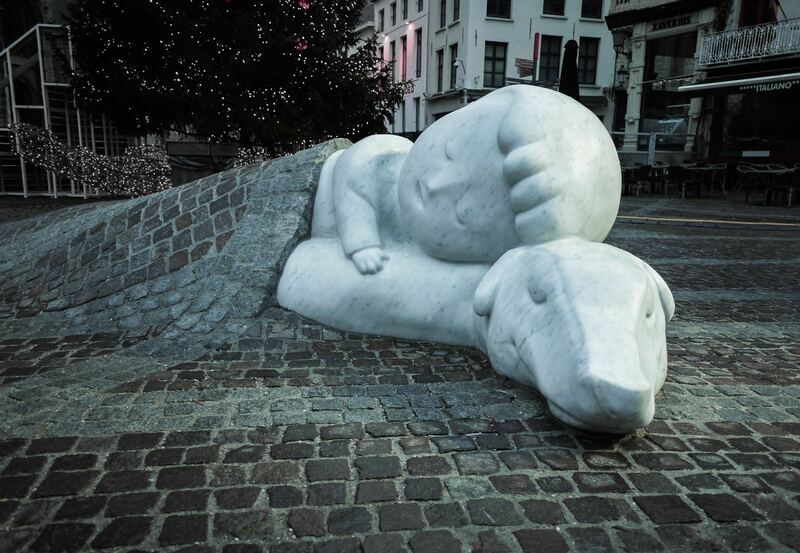 But in Antwerp, and Belgium, no one seems to know this story about friendship and fidelity. That’s why together with Stad Antwerpen, Buro Beroepsbelg and Chow Tai Seng, we decided to bring this story into the 21st century. In the original story, the mayor of Antwerp launches a competition for artists of all ages. 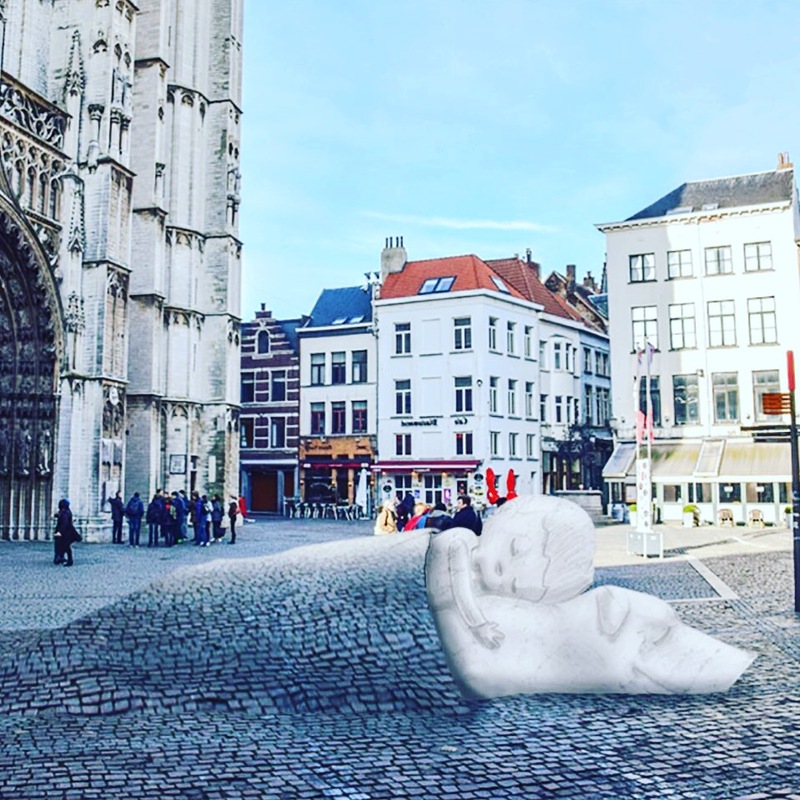 We recreated this storyline, by launching this competition: Design a cool statue for Nello & Patrasche and the winning design will be placed in front of the Antwerp Cathedral. Just like in the story, where the mayor of Antwerp announces a design contest in city hall, we did the same. We received dozens of beautiful entries. The winner is Batist Vermeulen, graphic designer and sculptor from Ghent. 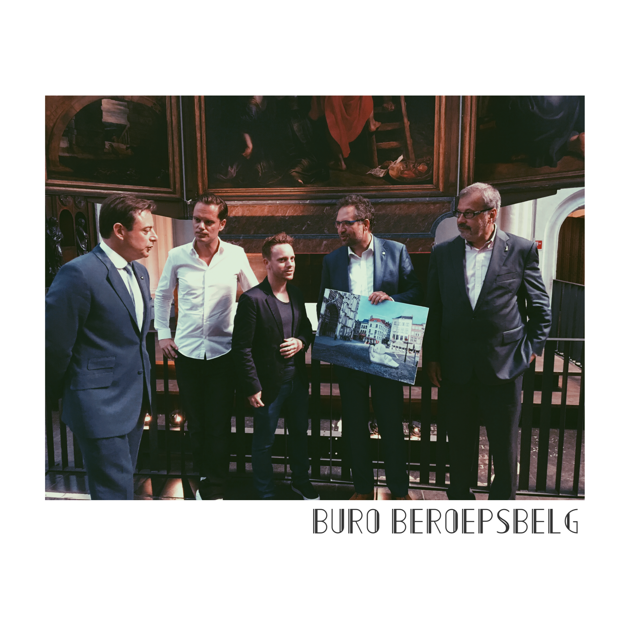 Together with Mayor Bart de Wever, CNN awarded guide Tanguy Ottomer, Creative director Phil Blondé, Tourism director Koen Kennis and Koen Raets, head of District Hoboken. Standing in front of the Rubens painting, where the actual Nello & Patrasche story ends and where our two heroes rest in peace forever. Nello and Patrasche lived in Hoboken, and died in the Antwerp cathedral. Now they rest in peace forever, in the shadow of the Antwerp Cathedral. 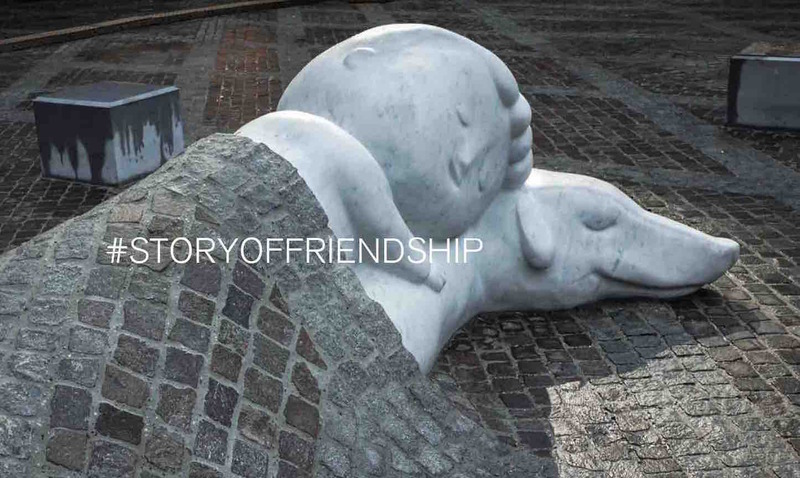 To honor your friendship with your best friends, take a picture at the statue next time you are in Antwerp. 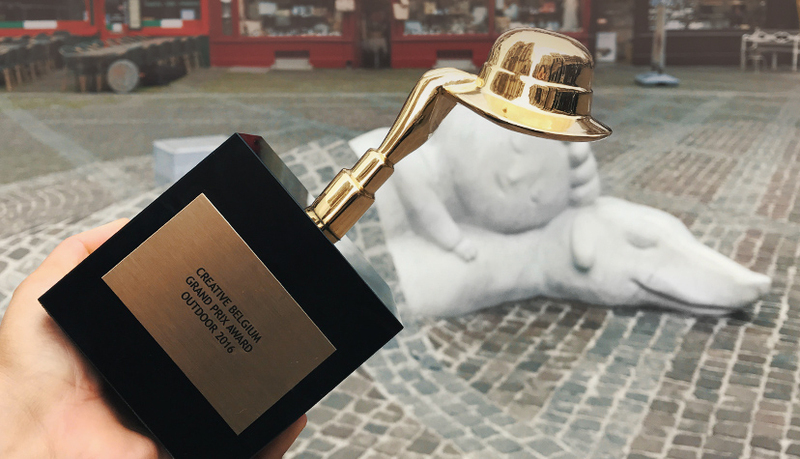 “Nello & Patrasche: A story of friendship” won the GRAND PRIX at the Creative Belgium awards.